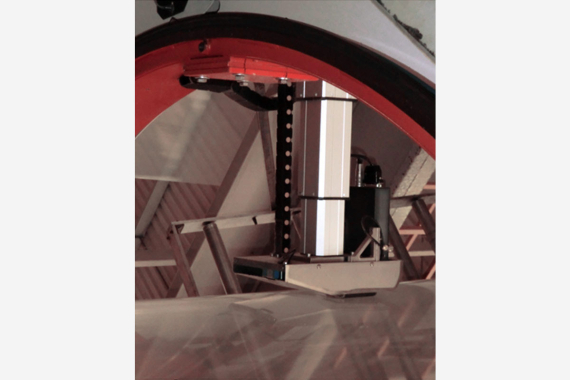 ε-SINT is a reflection gauge engineered for thickness measurement. The gauge bases its functioning on capacitive technology, it found its mayor application in bubble or double bubble plants, installed in a way to measure directly on the bubble. SINT is installed on a special reversing circular scanner, able to measure the bubble over its whole circumference. A telescopic arm holds the capacitive probe and it is controlled to follow the fluctuation of the bubble in order to maintain the optimal adherence on it.